Westmont grad Reid Spencer’s most recent release, the short-but-sweet five-song EPcleverly titled Extended Playshowcases a young singer/songwriter capable of thinking outside of the man-and-guitar box. 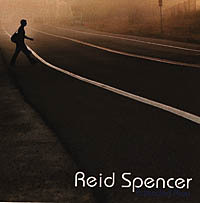 Where 2002’s Fragments of Myself was driven by catchy beats and soul-baring lyricism, Extended Play takes Spencer’s previous endeavors to a new, more daring level. The CD’s opener, “Don’t Ever Fall in Love with Me,” is a bluesy rant set against acoustic riffs and punchy horns, while “Baby’s Got the Blues” is a delightful exercise in cheekiness reminiscent of Ben Folds and Jason Mraz. “I’m OK” is more upbeat strumming than somber and self-pitying, proving to listeners that they shouldn’t judge a song by its titleor a musician by his genre.